Study: climate change accelerates growth in trees, especially urban ones | Watts Up With That? From the TECHNICAL UNIVERSITY OF MUNICH (TUM) and the “cities have greater CO2 and greater warmth” department, comes this verification of Liebigs Law of the Minimum and a follow on to a story we covered on the same subject a few years back. “While the effects of climate change on tree growth in forests have been extensively studied, there is little information available so far for urban trees”, said Professor Hans Pretzsch from the Chair for Forest Growth and Yield Science at TUM. The study supported by the Bavarian State Ministry for Environment and Consumer Protection as well as by the Audi Foundation for the Environment, which was published in the journal Scientific Reports, for the first time systematically examined the growth of urban trees worldwide for trends resulting from changing environmental conditions. November 14, 2017 in Climate News. I didn’t read the nature paper, my comments are based on the brief above. These are just a few that come to mind. Wyoming is a semi arid state with vast areas (10,000’s of acres) treeless, sage covered grasslands. Most visitors to are surprised by the lack of trees and vast openness. It is a common phrase that the only places you find trees in Wyoming are rivers/ creeks, towns, farms/ranches/ country houses, and the mountains. Considering, CO2 and UHI are the same throughout the state, seems to me, regular watering probably has the greatest impact on tree growth. Across much of the rural west, the easiest way to spot human dwellings, farms and outbuildings is simply to look for trees. Dead trees may indicate a residence where no lives or works anymore. Tropical trees also show annual tree rings, despite the fact that they don’t have four seasons as found in temperate zones. This is because there is a rainy season and a dry season. would it have got past peer review had it not considered your points, as they are fairly obvious questions. And I’ll make my own little observation here. NASA tells us that the world has greened by 14% in the last 3 years, but that is simply coverage. If, as I understand it, this paper is telling us that tree growth itself is around 20%, and Im assuming he means overall, not just canopy, the same is presumably true of most plant life. So how does that equate with the NASA study, 14% extra greenery in terms of cover would be considerably increased in terms of total mass, wouldn’t it? Why would you expect that the things covered by Matthew would have been noted by peer reviewers? You haven’t read much of the coverage on broken peer review over the years. Why wouldn’t the study abstract have mentioned it? An assumption, not too unreasonable though. And yes I’m well aware of the pal review system, but then that criticism might also be levelled at studies supporting sceptical views. However, at the moment, its the best we have. So “Yes”, the UHI effect should/will cause an increase in urban tree growth simply because of the “warmer” temperatures in early Springtime and at nighttime …… from the start of and throughout the “growing season”. As a fer instance, it would be silly to “start-up” a Maple Sugar making operation in the middle of a UHI “warmer” urban area simply because one could not “collect” enough Maple sap to make it a profitable operation. The sweet Maple sap flows up the tree trunk during the daytime warm temperatures of early Spring … but will not flow back down the trunk iffen the nighttime temperatures remain warm. Or higher CO2 levels in cities? I always felt sorry for the trees on the streets of Philadelphia while I was in college. They were almost never in darkness with street lights making sure they they always had some light. It was probably not optimal light for growing, but sodium arc lamps might actually provide decent light for growth. Anyhow, it does not appear that the above paper included considerations of the extended growing day created by street lights, providing higher, longer level of light supply for tree growth. While I was growing up in northern New Jersey in the 60’s and 70’s, I also noticed that the trees in urban areas tended to put out their leaves a week or two earlier in the spring than rural trees of the same species, and the leaves in urban areas tended to stay green about a week or two later in the autumn than rural trees. Some of this may be due to elevation (most rural areas in northern New Jersey are at least 500 feet above sea level, while most of the coastal plains are urbanized), but the urban heat island could also contribute to a longer growing season. Higley7 brings up a good point about street lights–I also noticed that the leaves nearest a street light tended to stay green longer in the autumn than those on the dark side of the tree, which only received a few hours per day of natural sunlight in the short days of autumn. Also, there are probably higher CO2 emissions in cities (due to home heating, motor vehicles, and people exhaling) than in rural areas, so the higher CO2 concentrations in cities could also be increasing tree growth rates during the warm season, as well as the urban heat island extending the growing season. “HA”, shur nuff, Steve Z, that reminded me of a Maple tree that the “green” leaves at the end of one (1) branch would get “frostbit” bout every year …… in the Fall. That branch was directly under and almost touching the streetlight which prevented it from “shutting down operations” when the “daylight” hours began decreasing. Good point. I don’t know anything about #2 but I can speak from experience about #1 and #3, they make a big difference. Compared to he mentioned forests, urban trees are given more room to grow an unhindered root system and an unhindered branch & leaf system. I’d be surprised if urban trees didn’t have an advantage over forest tree. It might be interesting to compare biomass especially by density of tree plantings. Include additional light exposure to the list of factors. In autumn I have seen trees with green leaves on the side receiving light from a nearby building while the darker side leaves have turned yellow. Living in Raleigh, NC, I have 20 large white oaks that are in the 160 yr old range (counted rings on the three that I’ve lost to hurricanes). In the early Spring, driving in from outside of the city you can noticeably tell the trees bud earlier than those outside of the city and in the Fall oaks typically hold their leaves until the first freeze, which also keeps them green well into November. In fact their dormant period is generally only 3.5 months or so. I’ve also noticed looking at the ring patterns on the ones lost that the growth over the past 30 years indicate they have done very well. A good testament to the paper’s premise. “, this increase in temperature can amount to between three and ten degrees Celsius.”….woops! The significantly faster growth of ALL TREES worldwide causes them to have greater diameters for each year of their life. Good for pulp wood, but the “strength” of the lumber cut from modern trees is slightly less than that of older-growth (1935-1995) trees because each growth ring is now slightly further apart. So, the lumber design industry has recently re-rated its indices (rules for trusses, loading-bearing lengths and cantilever distances, permissible loads, etc.) to reflect the slightly lower tension strength of modern lumber. You may see this as well: Compare the relative force it takes to hammer (or drill) a recently-cut lumber piece with one from, for example, the 1960’s (colder weather worldwide) or 1935-1965 periods (less CO2). You’ll see the growth rings are now noticeably further apart in the two samples. Hammering into 50-year old pine is like hammering into oak, but it’s mostly because the resins in the pine have cross-linked over time. I recall someone offering the opinion (maybe in a very old Scientific American article) that the unique sound of the Stradivarius violin is in part due to trees that grew during the Little Ice Age having much tighter rings. In addition, that wood was supposedly harvested from the north slope of the mountains, further squeezing their growth. The spruce used by Stradivarius and Guarneri for the top plates of their instruments has very consistent density, which could have come from the growing conditions, and the spruce species available in the forests used. Here is a little article that extends the thought a bit. Don’t get caught up in their gross assumptions. Stradivarius, born 1644, lived during the “Little Ice Age”, during some of the coldest depths of the LIA. Many of the spruces selected for instrument tops, especially the ones with narrow consistent density growth rings, must minimally be in the 400-500 year old bracket. String instrument tops utilize billets of wood that range from 16 to 40+ growth rings per inch, (6.3 to 15.75 growth rings per cm). The master grade tops are extremely consistent rings typically over 30 growth rings per inch, (11.8 per cm). Bowed instruments and most other stringed instruments split a top plate then join them along the long edge. Violin lower tops are constructed from two 105mm (4.2″) wide splits. Allowing for damaged edges, plates likely start with 127mm (5″) wide plates. At 20 growth rings per cm, that tree required 100 years just to grow that portion usable for an instrument top. Sapwood doesn’t qualify as quality wood for tops. Allowing 2 to 4″ (50.8mm to 101.6mm) for sapwood before heartwood is reached, increases age of the top wood to 140 years to 180 years. Center of the tree heartwood is similarly unusable. Trees, as they grow, branch frequently. Branches disrupt growth ring consistency. In dense forests, the lower branches atrophy as the tree grows taller; allowing tree trunks growth without interfering branches. Young trees grow quickly and are known for wide growth rings. But they’re not thin spindly trees then. Those trees have gained age; substantial age before the width of the annual rings achieves consistent narrow bands. Violas, cellos and guitars require substantially wider sections of clear wood with consistent growth rings. Cellos start off with wood splits 9-10 inches (228mm to 254mm) wide. Guitars use tp wood splits 8 to 9.5 inches (203mm to 242mm) wide. These topwood splits are looking at 200 years of age just for the usable pieces of topwood at 20 growth rings per inch. Wood running 40 growth rings per inch, double those requirement. Then consider that Stradivarius apprenticed under another excellent luthier, Amati. Similarly, Stradivarius’s own apprentices should have benefited from denser levels of growth rings; well, maybe their apprentices would have. As older trees growing during the coldest period of the LIA wouldn’t produce their densest growth until well past Stradivarius. What isn’t mentioned in the assumptions correlating Stradivarius instruments with the LIA is that Stradivarius was well known to raid firewood stashes looking for good wood. Some of Stradivarius tops have growth ring counts around 15 growth lines per inch (6 growth lines per cm). Apparently Stradivarius was able to discern consistent wood density independent of the number of growth rings. All of the above focuses on the topwoods used for stringed instruments. Woods chosen for the backs and sides of most instruments tend to be chosen for beauty, not growth rings. The works and researches of “Carleen Hutchins” are worth reading for insights into why some instruments sound so much better. Which basically sum to, Stradivarius knew how to draw the finest instrument responses from the wood he used. i.e. it’s not some magic accident. Thank you for your mini-lecture. By now I shouldn’t be surprised by the breadth of knowledge possessed by habitues of this site, yet I am. And grateful. Guess that 2 degree rise is not going to make much difference. I have noticed it, urban trees get their leaves earlier and drop them later in annual cycle. Yeah but you wait first limb that drops and kills someone. CAGW News article thousand of people will die to urban trees because of global warming. Have they compared zoo animals to wild animals? How about inter- and intraspecies competition? Horticultural practice? Spacing and siting of trees? Pruning? Any comparison of jungle and urban humans would show big differences in growth, diseases, and mortality. Of course, this paper was alarmist. In the face of good news they are worried about premature aging of trees. Nobody worries about the documented drop in the age of menarche in Europeans in the last 200 years, likely due to better health and nutrition. I live in a northern Canadian city which still has large numbers of American Elm. These trees grow to impressive sizes, albeit slowly. What amazes me is that they grow at all, given that we are far north of the tree’s natural range. In the surrounding countryside, you rarely see anything but the native conifers and poplar. Obviously, cities are hospitable to trees. Elms grow well in small or tiny communities as well. Climate is likely a secondary issue. Extra moisture from lawn watering and runoff from paved areas an from rooftops is likely a factor. Competition from our ever-present quaking aspen is also usually absent. You must be too far north for the Elm Blight. Here at 40 North, we haven’t seen an elm since I was a boy, a very long time ago, in a previous millennium. UPDATE: Due to the mass extinction that has left American cities bare and treeless, the “There Are No Nightmares On Elm Street(tm)” ad campaign has been discontinued. If bark beetles invade your town your Elm warranty is void. Replacing varied and indigenous species with monocultures is still the best way to go, our scientists say, the problem is not in our approach or fine product. Your neighboring towns, from which this pestilence came, are to blame. Kill them all. The world is full of pure weevil and only Elms can make it right. Urban tree growth is spurred by both UHI, AND higher ambient CO2 levels (no mention of that inconvenient fact in the “study” though). Their “accelerated aging” is probably due to two well-known stressors for trees in urban environments: buildings and pavement which can restrict how much water and even sunlight they get, plus the use of salt in winter for cities who get snow and ice. 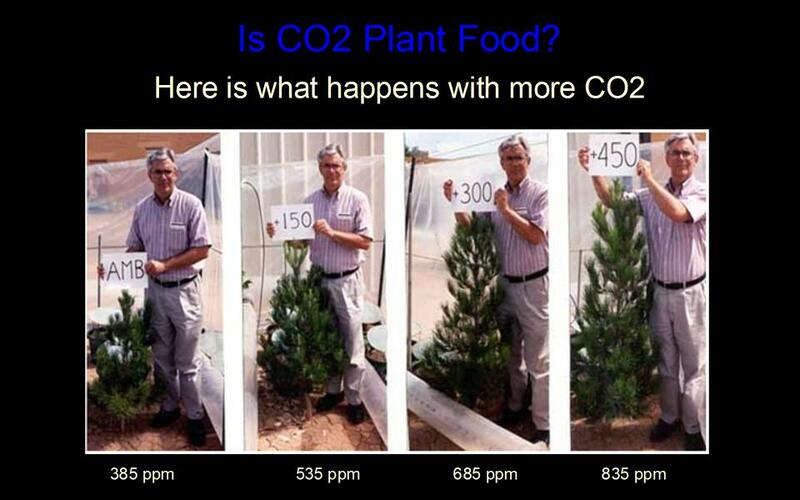 A few years ago, I took CO2 measurements around the rooftop hydroponic garden that I had setup. I live in a dense urban area. The meter was recently calibrated and had an accuracy of +- 50ppm. It was kind of interesting when the wind blew. I got a wide variation in CO2 concentration: The range was about 450 ppm to 750 ppm. I setup the same meter in lower Manhattan during a warm summer day (no wind). I was getting concentrations 800 ppm+. So I can imagine C3 plants would get a bit of a boost compared to their rural counterparts. I hope you were wearing breathing gear so’s not to get poisoned by all that nasty CO2 at 800ppm. I also trended the CO2 levels in my very well insulated apartment: Typically 1,000 – 1,200 ppm and spiking up to 1,500+ ppm whilst making dinner (gas range.. no vent hood installed yet). Somehow, my family did not perish. One of my wish list items is to setup a salt-water aquarium (I was big into aquariums as a kid). Per the AGW crowd, the levels of CO2 should acidify / poison any coral I have in the tanks. So basically, indoor aquariums featuring coral should be impossible in my instance. Terribly sad. I worry for you, your family and your fish. It is common to add CO2 to salt water aquariums to improve coral (zooxanthellae) growth. Perhaps you won’t need to. Didn’t the cops see it and bust you? TTY: Yeah… that is why I new the ‘CO2 kills coral’ was a bunch of b.s. It was common knowledge to use brewers yeast in a bottle with sugar to bubble in CO2 to promote algae and hence coral growth. knew = new: Wish the comments had an edit function. Think of the carbon dioxide in your soda water … does drinking that subject you to death by acidification? Walter Sobchak: Only if tomatoes became illegal. Its a great way to grow stuff when you don’t have a yard. I had amazing productivity out of my tomatoes. Cucumbers though kept dying on me. While UHI and even local additional CO2 would make a difference to deciduous leaf out, leaf drop timing and some growth, I would think the 800 pound gorilla in the room would be access to water. And also things like lawn fertilizers, proper spacing and major competition control. I have even seen within some more northern cityscapes, the exact same trees planted in the city but left ‘natural’ in a non improvement area such as a natural park setting without access to irrigation and those same trees only grew 1/2 as much as the exact same trees just a few miles away where they had constant access to water when the growing season started. And they both had the same advantage to the UHI and CO2. The only difference was access to water. The trees without access to water were much smaller and spindly and general unhealthy and many actually died, and the trees that were part of the city irrigation plan on boulevards and private lots grew twice the height and 4x the volume. This is all just common sense, so surprised to even see a study about this giving more credit to UHI and CO2. Some effect for sure, but not certainly not the driver. In my city, the trees aren’t watered, with the exception for newly planted trees. Trees still grow pretty well here, though I suspect the trees receive water and nutrients from our leaking 150+ year old brick sewers. One of my properties keeps having issues with tree roots growing into the terracotta sewer line, causing an occasional backup. The trees without access to water were much smaller and spindly and general unhealthy and many actually died, and the trees that were part of the city irrigation plan on boulevards and private lots grew twice the height and 4x the volume. I’ve most often seen “boulevard trees” (trees near a road or sidewalk) always surrounded by either broken sidewalk, uprooted solid sidewalk concrete, bricks or pavers, asphalt, or compacted “dirt” inside very small doggie-dirt patches. Yes, they may get watered by splashing water from a tank truck onto the tree base, but does that really sink into the roots out away from the trunk itself? This study is about the effect of urban environments. They did not even attempt to measure the effect of “climate change”. To do so they would have to go to forests and jungles, but it is much more comfortable to travel to cities. They put a Climate Change in the title only to get more money. They also neglect to mention that the “climate change” within cities is actually far greater than that forecast for the whole planet, but is still clearly net positive. Whoops! That doesn’t fit the alarmist mantra. Jeez I know! Not enough :facepalms: for this ultimate and doubtless costly revelation that in the presence of adequate water supplies, warmth and carbon dioxide are splendid news for growing things. Thanks a million Prof “braincell” Pretzsch – whatever would we do without your genius to guide us. AhHa! You revealed the cunning plan. This is a good thing, because urban trees remove the demon gas CO2 from the atmosphere more rapidly, but it’s a bad thing, because the trees will age faster and maybe grow so fast they…what?…explode? If nothing else, we have a useful demonstration that to avoid arousing the Inquisition, one must carefully make good news appear worrisome by affirming the central myth. I guess the author doesn’t realize you can re- plant. MAY age faster (or. may not) science by speculation. no pesky facts required.. I want to scream “DUH” really, really loudly. It should be elementary that trees along streets also benefit from high CO2 levels. …Trees in metropolitan areas have been growing faster than trees in rural areas worldwide since the 1960s. This has been confirmed for the first time by a study on the impact of the urban heat island effect on tree growth headed by the Technical University of Munich (TUM)…. So…it only took 50-60 years for the academics to notice? N is always the Leibig Limiter for land based plants and since the 60’s is in much greater supply in city centres; from the massive increase in motor traffic (with special thanks to VW and their engine management computers) plus countless (Natural gas powered in the UK at least) home heating systems. Also high voltage power lines constantly fizzing and crackling plus big DC motors in underground (and other) electric trains. Not forgetting the fertiliser applied by pet dogs taking leaks (territory marking) and the occasional (drunken) human. I dimly recall from a class in water resources (45 years ago) that city run off water is so polluted with nitrogen compounds as to be essentially sewage. Farmers routinely apply tons of nitrogen to their fields every year, often as ammonia added to irrigation water or injected directly into the soil or as urea spread as a broadcast application. So why does it take a research paper to figure out that if you give trees ample nitrogen, extra CO2, extra warmth and a longer growing season from UHI effect that they will prosper compared to rural trees that only get natural (limited) nitrogen, less CO2, and a shorter growing season. Oh wait, I get it. Do a high school science fair level study, find something bad to say, blame it on AGW, then you’re part of the 97% Good Ol’ Boy network and get invited to conferences and get grants for your institution and a career path to tenure and a pension. Simple modern science. Are they saying that higher temps increases plant growth? Great! They seem desperate to find something negative. My suggestion is: if urban trees are growing bigger, then if one falls on you during one of the increasing number of increasingly violent storms that climate change is supposed to cause, it’ll hurt more. Or maybe trees like soot emissions or pet fertilizer or water runoff. 3 things come to mind: 1. Urban trees are planted much less densely and therefore can produce full crowns. 2. Urban trees may be growing in poor, polluted, confined and poorly drained or poorly watered soil. So despite the ample sunlight trees may still find it hard to obtain all mineral nutrients, which may explain the “ageing” or premature death of urban trees. 3. On a similar note, urban trees in arid or semiarid environments may be irrigated, or benefit from urban runoff. Would believe that trees grow farther northh in cities due to temps, as many trees have pretty hard limits for average temps, frosts. In older cities, under the ground is probably in a lot of sections very rich in nutrients, from old privies and outhouses and cemeteries. Not to mention leaky sewers. They used to make them from bricks in Philly. Imagine a city full of people, and all of those people having all of their waste being buried in the ground for what was often hundreds of years, or leaking out of sewers that were not even designed to be watertight. If one ignores the trees and only looks at the shrubs and grasses, it is noticeable on motorway embankments that these grow faster and larger than those further away. Has this anything to do with the CO2 emitted from passing (and sometimes stationary) vehicle exhausts? If so would not one expect all plant life, not just trees to grow faster and better in urban areas? At least in Mojave desert plants grow much better next to a paved road. Asphalt concentrates rain water at the edge of the road. No such effect on unpaved roads. And moisture in the ground will tend to spread out when it rains, dampening the soil under the road. This soil is then kept from drying by the pavement, and has less water being sucked out of it by transpiration. The ones that can get roots under the road have that space and nutrients and moisture…ones further away do not. Not all trees are equal. Trees in the country may very well be multiple generations along, one generation dropping seeds to create the next. Trees in cities are planted. If you go to all the work of planting a tree, you are likely to plant a healthy sapling from vigorous stock, with proper fertilization. On average, city trees have a better start-off. There are other factors, of course, but a head start could account for a lot. Seeds are cheap, and it takes a long time to grow a tree. The usual process is to plant a bunch and to progressively thin out all but the healthiest one at the proper spacing. It is making me sad to imagine that the nearly 1400 trees studied probably did not survive the sampling. Hugs. Taking a core from a large healthy tree is unlikely to kill it, particularly if it was done carefully and sealed up afterward, and the equipment was sterilized between uses, etc. Large old trees often have huge hidden voids and such. In Florida, we just got a lesson in what makes some trees blow over more easily that others. Part of it is random luck…but at the limit of what can be withstood, trees with damage, even if hidden underground or inside the trunk, will be the first to go over. I have a lot of trees get knocked over, shredded, break in half, etc. But most did not do so. The damaged ones, on close inspection, frequently had ant nests in and around the base of the tree trunk, a unseen diseased section inside, may have been deficient in some micronutrient and were more brittle…etc. Very interesting. Am escaping the mess from Harvey in Rockport this week where most native trees (live oaks) appear to have survived severe winds, probably the worst many ever faced. They are hard to age but are very old on a Pleistocene barrier island where some blew over intact from shallow roots and wind exposure. It is an unusual association of trees and understory much being either modified or destroyed by development, now on hold. A large right of way and highway through the peninsula visible on Google Earth (view shortly after storm available) probably took out a lot more than the storm. Advice to plant different species because of potential disease for the “monoculture” live oaks was just proven wrong as they held up much better than exotics, except for the palms. The expanded right of way south of town, possible for a future exchange, is now the location fora huge collection of damaged materials and wood which is being incinerated. Survivors put on leaves rapidly and we hope somebody is studying hurricane effects as the importance of the trees as a buffer seemed evident. Much of Texas has more trees in the last half century or so, but rainfall has increased some. Saying the ph word is like saying “Jehovah” among pharisees in the Life of Brian movie. Just proves that trees like people and urban environments. Think of the trees, and stop trying to restrict development in the rural areas. Objective of study: to show that UHI is a proxy for expectations for trees experiencing future global warming by showing urban trees are growing faster because of UHI temperature rise than rural because of current lower global warming temperatures. They reluctantly mention CO2’s role as a driver, because of a pact among alarmists to give zero benefits to it because this would reduce the “cost of carbon”. They couldn’t decently ignore it all together so that they hey marginalized it and threw in the old “temporary” effect but reckoning it will eventually harm growth. Let a mining industry engineer /geologist correct the study: UHI may have an effect but it must be discounted by the effect of care, pruning, fertilization, watering, pest control, no competition for nutrients and sunshine. Moreover, warming over the past century in urban areas where trees grow has been very slight (globally, 0.8C but mostly in Arctic Amplification if ~2.5-3C). However, CO2 has been credited with fattening existing trees but also expanding forest cover (rural areas) by 14% over 30yrs (NASA). Therefore, UHI must be further discounted at least 14% and more because urban environments also have higher CO2. It would seem that UHI is a very minor player, like marginal global warming in expanded agriculture harvests. The HG is still very active here … mandatory rules on the spacing of “shade trees” in retail/commercial parking areas. Bit of a boost from the nutrients dumped in the hole, then gradual decline as the irrigation systems get bunged up due to fine clay particles entering the lines or roots getting in or squeezing them tight, etc. The ideal car park tree would grow straight up for 3m, then outwards min 3m radius horizontal, doesn’t attract birds, doesn’t drop leaves, fruit or big bits of itself, needs minimal water/nutrients. Tut tut … God/Gaia/Intelligent Design has so far failed to provide such a tree. Remember that episode 9 of the BBC’s TV Life Series titled “Plants” narrated by David Attenborough, made not a single reference to photosynthesis. Clearly even mentioning this word is politically awkward as it points to the beneficial life-giving nature of CO2. Can you imagine the BBC suits siting down with the old man and actually arriving at verbal consensus to not mention photosynthesis, for reasons of political mood music, to the huge damage and impoverishment of the scientific value of the program? The worst aspect of humanity is what we are able to justify to ourselves. Our inward facing mental theater in which we are always the hero. I’ve always noticed that plants seem to grow in great abundance and density on the verges of main roads and highways / motorways, where CO2 is locally elevated. These long verges are important wildlife refuges. Comparing trees growing outside in different places means you are comparing a large number of variables that have varied in ways that are impossible to ever know. Are these city trees growing on a concrete sidewalk with a small opening, a large opening, a grassy strip, bricks pavers nearby or surrounding the tree, etc. Trees in cities are widely spaced…no competition in the root zone for moisture and nutrients…or did they correct for this by choosing equally spaced trees in each location? It is warmer in cities, and most especially it is less cold at night and in Winter. Few sewer systems in old cities are watertight. Most large cities are near water. Older cities likely have thousands of buried privies and old cemeteries, etc. There are a lot of variables and confounding factors. But, we can notice a few things that are for sure: Being hotter is not killing trees; trees are growing faster now than before; it is not a little but a lot hotter in cities and it is not having the effects the panic-mongers would have us believe; and when they find good news, they do not trumpet it like when the find bad news…in fact they try to minimize it, explain how it is temporary, anything but admit that adding CO2 and other changes caused by man could be highly beneficial rather than a catastrophe. No trees haven’t been growing faster due to ‘climate change’. 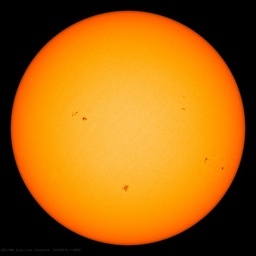 They’ve been growing faster due to significantly more C02 in the atmosphere. At least in rural areas. It’s interesting the way that scientists lie without lying. Their papers are accurate but the narrative around them assumes things that haven’t been proven. Trees in metropolitan areas have been growing faster than trees in rural areas worldwide since the 1960s. One would think that such a study would seriously evaluate each growing area along with the studied tree. Nope, all that is needed are some tree samples; all the rest is assumption. “Regardless of the growth advantage of urban trees, the study conducted by Prof. Pretzsch’s team also shows that both urban and rural trees have been growing faster since the 1960s as a result of climate change. This observation reflects a pattern that has already been reported for forest trees in comparable international studies. Which is it Prof. Pretzsch? Urban tree far outgrow forest trees or all tree are growing approximately 20% faster? The sentence in the abstract, quote, “However, our analysis shows that climate change seems to enhance the growth of rural trees more than that of urban trees.” end quote, contradicts the conclusions of the main body of the paper. Confusing rubbish. Silicate weathering gradually removes CO2 from the atmosphere over billions of years. It came close to causing a mass extinction in the last glacial maximum with CO2 levels well below 200ppm. Hominid fossil fuel burning is a Gaia response of the biosphere to survive. Fossil fuel burning and CO2 enrichment of the atmosphere is the only sensible geoengineering. Attempts to stop it are genocidal. We just replaced a section of plastic water main at a tee near a hydrant that had probably developed a tiny leak years ago, and caught the attention of a nearby tree. It took several hours to cut and tear away the root nest away because we were afraid of damaging the pipes further. All the time the tree trying to wave us away and the leaves were murmuring “It wasn’t me!” When irrefutable evidence was uncovered the tree turned its back to us in a petulant manner. Not content to sip, it had become greedy and strangled the pipe until the joint buckled and the gasket blew out. If trees would just drink responsibly… or evolve the ability to plug small leaks entirely then we could have a nice symbiotic arrangement. But they’re only human, I guess. Watch out for those California trees, a lawyer fungus attaches to them and they attempt to secure water table rights in neighboring states. There has to be a “however”. Every piece of good news about warming/CO2 has to be neutralized by an equivalent negative. Got to keep the peasants worried.